It appears that Apple is cracking down on developers selling UDIDs slots. Developers caught selling UDIDs slot are now getting their iOS dev account closed, and devices running iOS 5 beta associated with that account are getting locked back to the activation screen. As karthikk reports, Apple is sending email warning saying they have identified developers selling UDIDs registration so non-developers can get an early preview for the iOS 5 beta without having to pay the $99 fees to join the iOS dev program. Developers receiving this warning will immediately be banned from the developer program and their devices will be locked, forcing them to restore back to iOS 4.3. Many of my developer friends have reported that Apple has sent an email warning which said that they have identified the developer to be selling his slots for some users to get early preview of iOS. And Apple has started closing the developer accounts for selling the slots and also, have flagged the UDIDs associated with that dev account, thus making the iOS 5 device unusable. Many developers have received this letter and immediately banned their account from the developer’s program. Once Apple locks your iOS device, the phone will enter the initial setup mode asking you to connect to a WiFi network. And nothing happens more than that. The only legitimately way to be a beta tester for iOS 5 is by being an iOS developer and it cost $99 to be one. 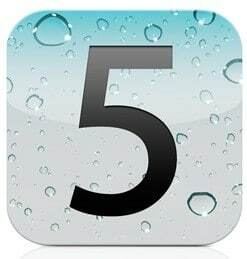 Developers can register up to 100 devices on an account, allowing iOS 5 beta to be installed on those devices. Some developers are taking the advantages and selling those slots to non-developers to make a small profit.